I can count the times I was aware my life had been spared. This is one of them. I was 19. 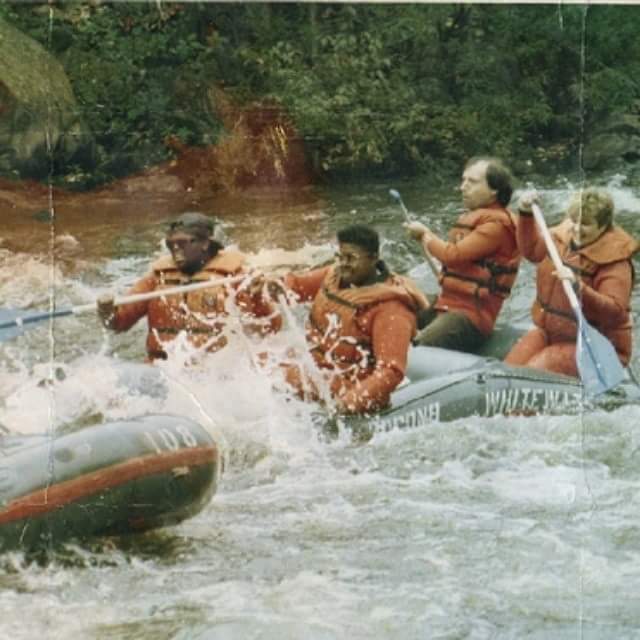 Got an invite to go white water rafting on the Lehigh River. The day of the trip , it rained. It was also the last dam release of the season. It ended up being class 3 and class 4 Rapids. I cannot swim. I fell out of the raft. I screamed bloody murder. My compadre attempted to pull me out of the water, but succeeded in pulling off my life jacket. I screamed beyond bloody murder. I never knew that my fingertips could penetrate River Rock, because that is all I had to cling to. My other compadre finally got me back into the raft. I lost my father’s hat, my lunch for the day, and a bit of my pride. Not all bad, I’m here today to tell the story!